Java Program to implement Diffie Hellman Key Exchange Algorithm. HomeBE PROGRAMSJava Program to implement Diffie Hellman Key Exchange Algorithm. Diffie–Hellman Key Exchange establishes a shared secret between two parties that can be used for secret communication for exchanging data over a public network. 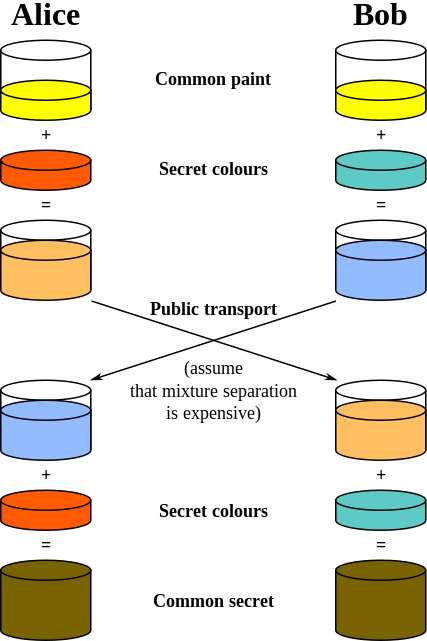 The following conceptual diagram illustrates the general idea of the key exchange by using colors instead of very large numbers. This Program is based on Pune University BE IT Syllabus: Write program in C++ or Java to implement Diffie Hellman key exchangealgorithm. Points to be remember before executing the program.